Yoga is about nurturing and disciplining the mind & body. Learning yoga is an awareness of the practice that teaches you to be sensitive toward others and yourself. Therefore, developing the correct manners at the yoga studio is also part of the learning process. 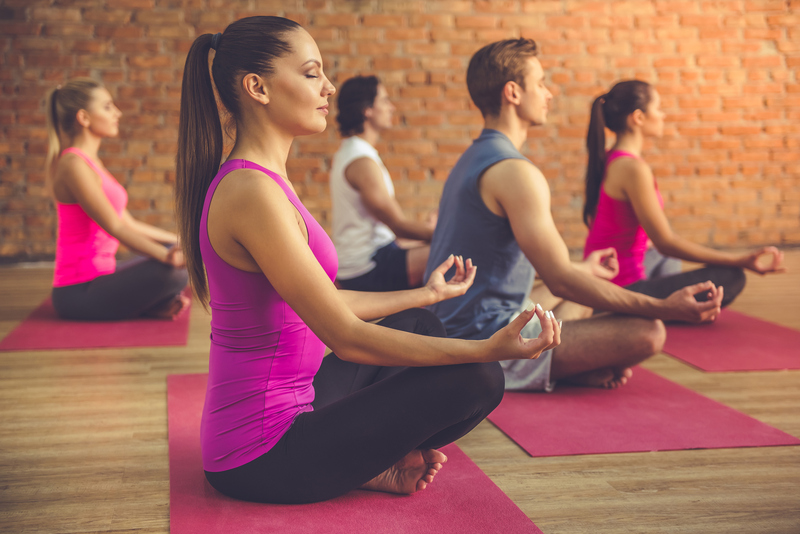 If you follow certain rules and absorb them into your manners, everybody at the yoga studio will be happier and develop a mutual comfort level. Watch the clock: Time is on top of the list of manners for all yoga sessions. It is always better if you arrive well before the session begins to avoid rushing in and becoming the cause of dismay for others. Beat the clock by a good margin and settle down to relax before the instructor begins the session. Respect the schedule from the beginning to the end of class. Outfits: High on the list of yoga manners is the outfit you should wear in the class. You need to dress in simple attire that does not attract undue attention of the people present. If someone compliments you before you enter the class about your ‘smart attire,’ then probably you need to change to something more modest. Your yoga outfit should be comfortable and stretchable because you need to bend, stretch, and twist your body. Cleanliness: The philosophy of yoga encompasses multiple facets of human behavior. Personal hygiene is one aspect of yoga that covers bowel cleaning and body cleansing. The smell of sweat and perfume to camouflages it will bother other yogis, as they will feel awkward the moment they take deep breaths while doing pranayama. Cleanliness also applies to the props and accessories such as yogic exercise mats, blankets, clothing, bottles, and other equipment. Unclutter your mind: Yoga manners demand an uncluttered mind. Both yoga learners and teachers need to have their objectives in order, with a clear thinking process and a positive frame of mind. They must sort out their thought process regarding yoga program by introspecting their idea of attending class, which, of course, would be for the benefit of their mind & body. Remain peaceful: The tranquility of mind and staying at peace with oneself is a pre-condition for exercising yoga. The peace comes with the ‘samtosha’ or contentment, the realization of whims that make no sense at all in life. Remaining peaceful does come under yoga manners that you must implement to lead a healthy life. If ringing the change is not possible from the outset, then pretend to be at peace while attending yoga classes. Remember the classic pose of ‘Buddha’ in meditation. Do not shy away: When you find particular yogic exercise difficult to perform, what do you usually do? Look for either your water bottle or the way to the restroom, no doubt! The resistance developing inside holds you back from trying that asana. This is where intense self-discipline becomes necessary to perform that asana. Ask your teacher for some modifications in asana, besides igniting your built-in mechanism to overpower your developing resistance. Yoga teaches you to train your body and mind. It helps you to find your hidden traits like kind-heartedness and sensitivity towards fellow human beings. Being thankful to your teacher should be part of the yoga manners not just ritually but from the inner self. ← Is Organic Food Really Healthier?